Let this remote motion sensor alert you to any motion. See how the remote motion sensor makes you aware of your surroundings better. Are you uncertain you can hear everything going on around you? Do you think you might need some assistance? This is why we built the HomeAware remote motion sensor. The remote motion sensor allows you to be alerted to when there is motion within your home. This remote motion sensor is one piece of the puzzle with the main HomeAware unit. The motion sensor transmitter and receiver easily works with the main unit. The Dry Contact Universal Transmitter will send a wireless signal to the main unit. Then, it vibrates the bed shaker, flashes a strobe, and makes a loud sound. When the main unit receives the signal, it will send a signal to all HomeAware remote receivers. This motion sensor transmitter and receiver is a good addition to your HomeAware collection. 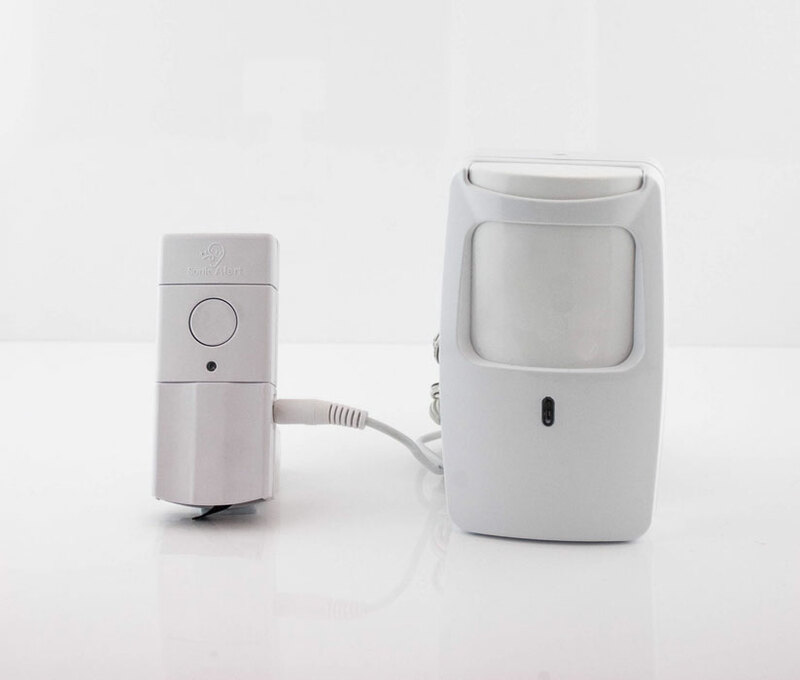 The motion sensor will work well to alert you to anything and everything going on in your home. The motion sensor features five different door alerts: DOOR, FTDOOR, BKDOOR, DOOR3, DOOR4, a help alert (HELP), and a motion alert (MOTION). It can also connect to a NOAA weather radio (STORM) and a home security (SECURIT).